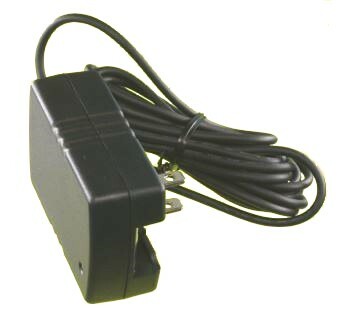 Wall plug Universal AC regulated switchmode 6.5 volt power supply, 2500 mA maximum. This is a high quality, switchmode regulated power supply with stable output, 16 watts continuous. It has a folding AC two-prong plug as shown. It is used on many digital cameras, including the Olympus cameras listed below. Overload Protection (OLP) Fully protected against output overload or short circuit. OLP is set at about 120-150% of the rated continuous output, automatic recovery. NOTES: (1) All measurements are at nominal input, full load, and +25°C unless otherwise specified. Universal input switchmode power supply with fixed 6.5 volt output voltage.